Supporting Fleuroselect’s Year of the Carrot, Mr Fothergill’s has added four new varieties to its existing selection. RHS AGM winner Carrot Malbec F1 (RRP £3.05 for 350 seeds) is a red long rooted, imperator type. 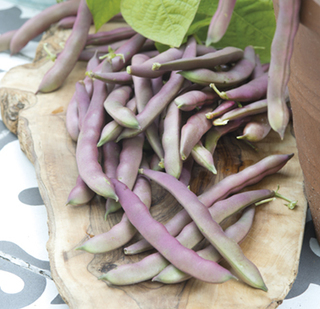 It is perfect for roasting with exceptional flavour and the unusual hue makes it a great addition. 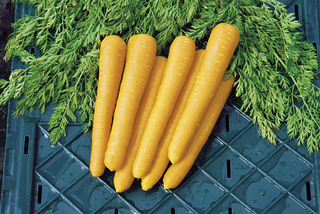 Carrot Gold Nugget F1 (RRP £3.05 for 350 seeds) produces long smooth-skinned yellow roots. Exclusive to Mr Fothergill’s, Carrot Volcano F1 (RRP £3.05 for 350 seeds), distinguishes itself with strength and reliability. It is resistant to breakage, splitting and disease. For maincrop, Carrot Purple Haze F1 (RRP £3.05 for 350 seeds) provides ‘Nantes’ type, dark purple roots with a bright orange core. 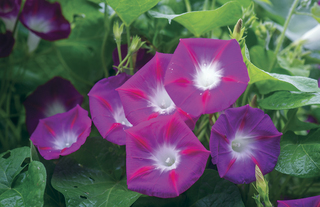 Among the new flower varieties in Mr Fothergill’s look out for Morning Glory Party Dress (RRP £2.30 for 30 seeds), which produces pink blooms that flower noticeably earlier than other cultivars. 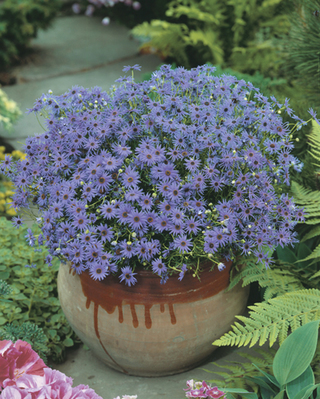 This vigorous climber will keep this colour spinning all summer long. Large magenta flowers contrast beautifully with white centres.